A quick update on my life work drama and things I can't blog about have been taking up all my time and then the guest blog about pie. I finished the beachbody challenge and will be getting a few dollars probably $20 or so not bad as it did help me lose a couple of pounds. I am on to the next challenge which is just to win prizes but I find this one harder as it requires doing any workout for 30 days straight. It's only been two days and I almost missed one but didn't so I will be happy if i do make it through the 30 days I am doing a variety as there is so much on beachbody on demand. I tried yoga booty ballet today and really like it. This week I went to see a play at Capilano college Fawlty Towers it was for my mom's birthday and she liked the tv show. I thought the play was really good it was 90 minutes but went by really quickly. I also ate at Marcello's pizza which I have never been to before. It was a true Italian restaurant was very good had a taste of pizza, gnocci, cannelloni all were good. The weather has been crazy lately way to much snow on the ground for Vancouver and today its really sunny while the snow on the ground is still high its hard to walk around this is in Coquitlam. I bought a pair of earnings at the silver jewelry pop up show the mall near my house had. It was cool there were a few people that hand made all silver jewelry that came together for a few days in the mall. That's all the excitement in my life. 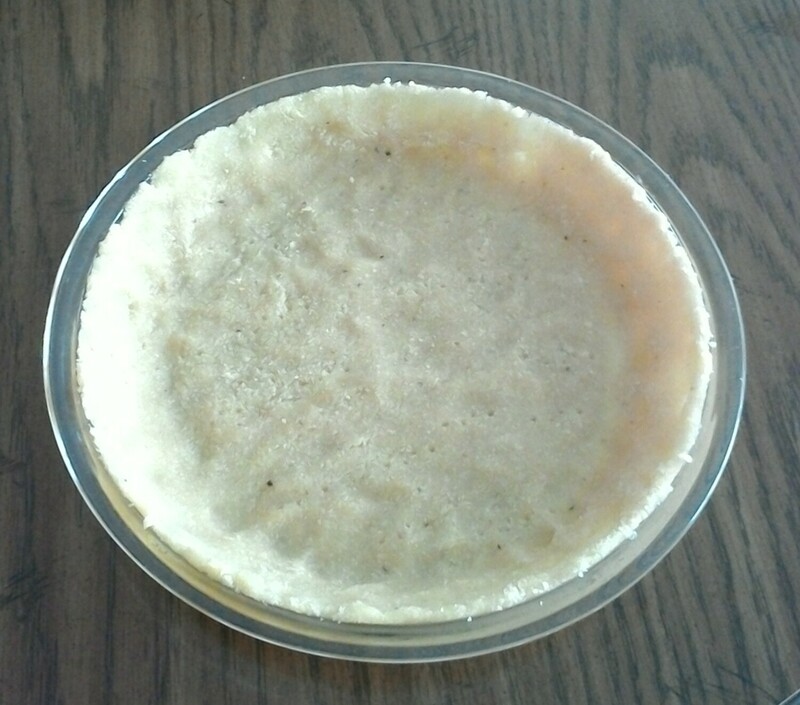 Now for pie or pye guest blog from foodie buddy I never got to try it it looks great though. Now let me introduce you to foodie buddy. This is my friend who I go to all the food festivals or events with. She is also a great baker and has so graciously agreed to guest blog for you. This is her first time writing a blog post comment below if you want to see more posts from foodie buddy, I know I do. 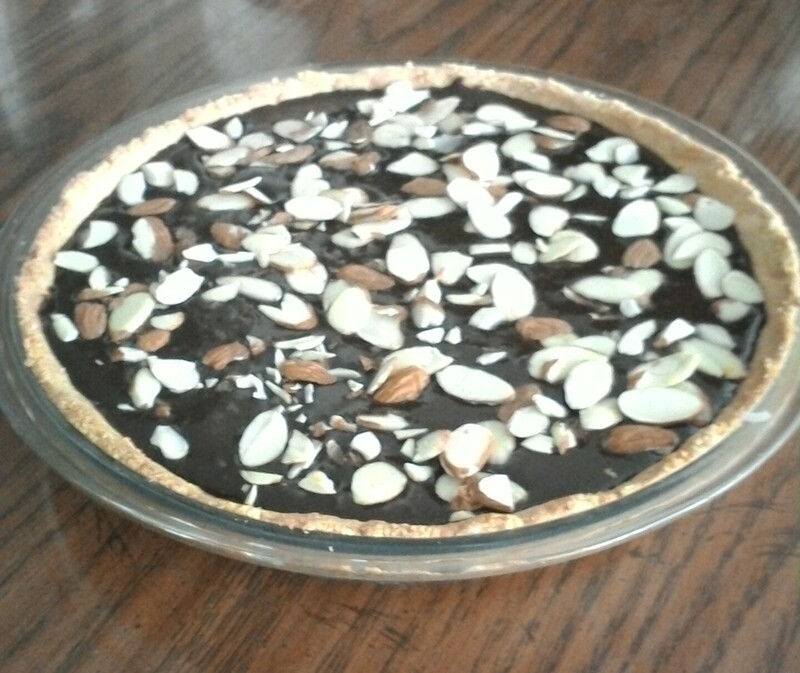 My ‘pie week’ adventure ends with a dessert pie, a chocolate pye, that is. (Some background: I am on a self-imposed week at home trying to recover from laryngitis that seems to be lingering for too long. So, why not make some pies to pass the time? I also somehow got hooked on watching episodes of that cookery show from the 90’s: Two Fat Ladies. This dessert pie recipe is from one of the episodes, originally a recipe from Hannah Glasse, a Regency era cookery writer.) There has been a series of pies made throughout the week but all contain meat and since my blog host is vegetarian, I am keeping it vegetarian for this post. This dessert pie intrigued me as the crust contains no flour, only ground almonds, sugar and an egg white. 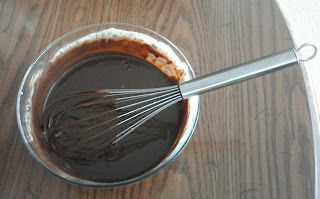 The filling is melted dark chocolate and whipping cream. Sounds deceptively simple. 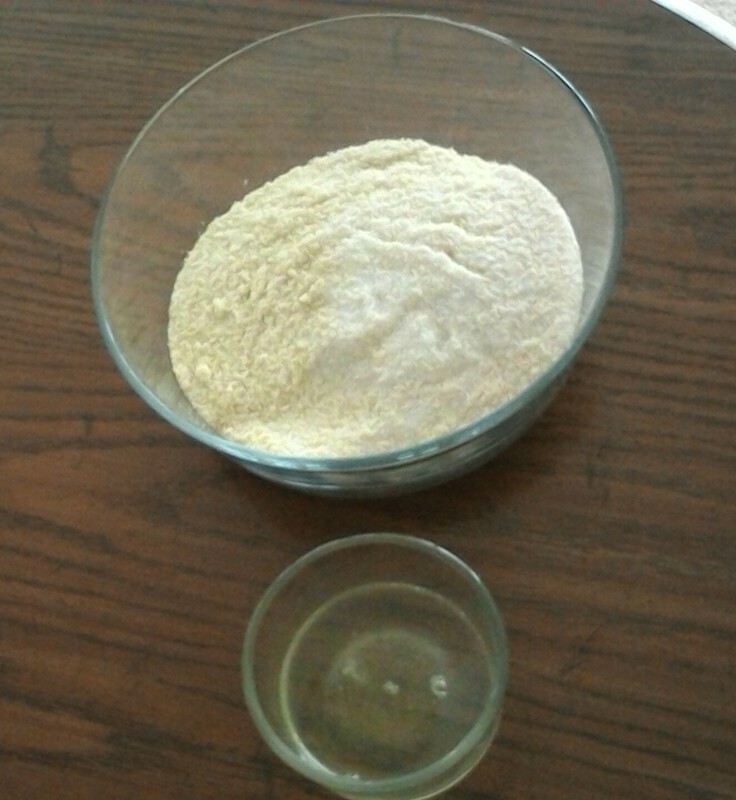 Starting with the crust: I mixed the ground almonds, sugar and egg white together by hand until it became a ball. The dough came together pretty easily as I was expecting it to crumble. I wrapped the dough to chill in the fridge for half hour. 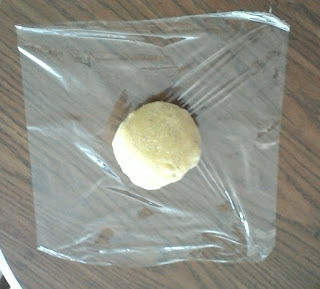 Then, I pressed it into the pie pan by hand - I did not attempt to roll it out first – and baked it, then let it cool. 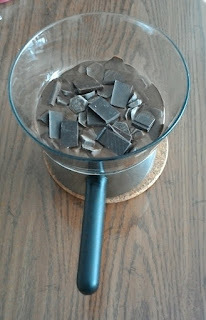 On to the filling: I melted the dark chocolate in a double boiler. (For me, that was a glass bowl on top of a sauce pan.) I used a combination of Lindt dark melting chocolate and a bar of Lindt Excellence 70%. I also measured out my whipping cream from the fridge. The show stressed using room temperature cream as cold cream would seize the melted chocolate. I thought my cream had warmed up enough but a splash into the melted chocolate told me otherwise. The chocolate seized! (I wish I had taken a picture but in the midst of the panic…) So, it was onto the internet to search for a remedy. I ended up heating the remainder of the cream and pouring it onto the seized chocolate. 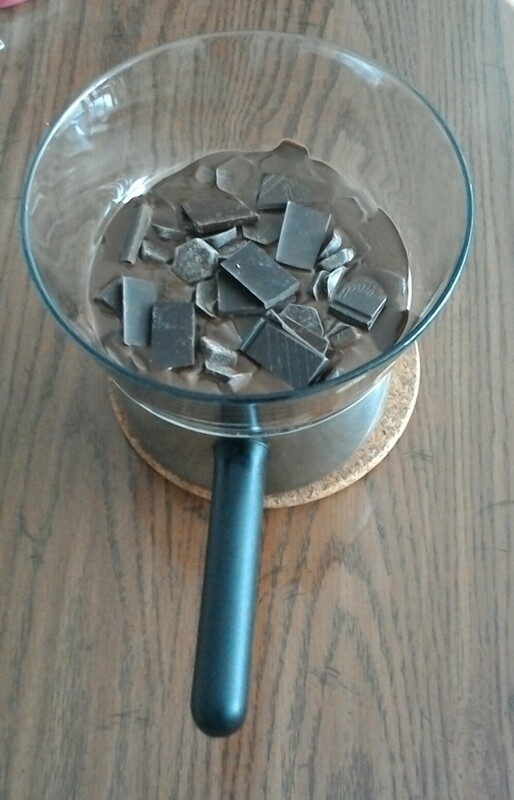 After a few minutes, I whisked the cream and seized chocolate together with fingers crossed. It seemed to do the trick. 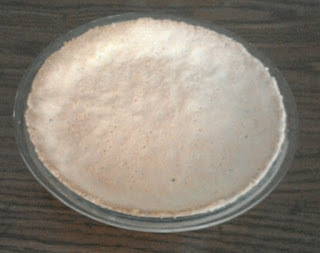 I gave the mixture a little bit of a whip to work in some air to the filling as per show instructions and then poured the contents into the pie crust. 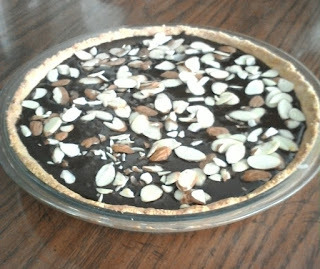 To finish the pie, I sprinkled some sliced almonds on top as garnish and then put it into the fridge to set.